Hello 6P! I’m back fresh off a Top 32 placing at Memphis with Zoroark-GX/Lycanroc-GX. As you may remember, one of the decks that I was thoroughly thinking about and had already used at Philadelphia, albeit my final list was quite a bit different. I’ll talk a little bit about my Memphis experience and the Chimecho factor moving forward. However, today’s main focus will be Expanded as, even though I’m not going to Portland (unless something amazing happens on Twitch), I know people are very excited for it and prepping as well. I went with Zoroark-GX/Lycanroc-GX as I didn’t think much changed at Philadelphia. Obviously Shrine of Punishment decks were still a thing, but I felt this deck had a chance to beat anything with its increased draw power and Lycanroc’s Ability allowing you to effectively play ‘3 Supporters’ each turn. We had Frankfurt Regionals happen in between these events and one particular list caught my eye. The 31st place ZoroRoc list from that event had 4 Lillie and basically no 1-ofs, which I really liked. It was more focused on solidifying your turn 1 and therefore establishing a strong start every game. 4 Lillie, 4 Ultra Ball, 2 Tapu Lele-GX and 2 Great Ball gives you almost 16 outs to a solid turn 1. The ideal plan is to get 2-3 Zorua and 1-2 Rockruff down on turn 1, and then let the deck flow from there. The triple Professor Kukui came in clutch so many times to allow Zoroark-GX to reach up to 150, 170 and 180 damage to deal with GX’s, and it also allowed my Tapu Lele-GX to KO 2 Rayquaza-GX’s in a row with double DCE attached and a Choice Band. I loved having 3 raw copies of the card because not only did it allow me to have the card more often when I needed it, that third clutch copy was something my opponent’s did not expect. The Weakness Policies were probably the least useful cards of the whole weekend, as they never popped up at the right time in the Shrine and Malamar matchups, and were never enough to turn around the Buzzwole-GX/Lycanroc-GX matchup which is horrible anyways. My other option was Rayquaza-GX/Vikavolt, another solid deck, but I felt that it gave me less options every turn. Also, if everything went wrong in those key turn 1 or 2, it’s just really hard to catch up. So that was my Memphis list, where I finished at 9-4-1 after two days. I was very happy to make it to Day 2 finally after a 6 month ‘drought’, and I’m hoping this will be the stepping stone to get back on track with great results moving forward. And so now, with Memphis out of the way, let’s focus on our main subject today: EXPANDED! It’s been so so long since I last competed in Expanded, April I believe. However, I’m still going to be testing quite a bit leading up to the event as many of the people that I coach are heading there. With that in mind, I’ve thought a lot about 2 decks that I think have a bunch of potential and will be the first I will be dedicating time to. Number 1 is good old Rayquaza-GX. I contemplated it for Worlds, and I believe Max Elixir is powerful enough to make the card viable in Expanded. Not only that, but in an unknown metagame, having a basic energy based OHKO deck seems great, as Wailord is an annoying mill deck to deal with. Not only that, but a tournament in Japan was won by Rayquaza when their format resembled our Expanded, and so we do have some piece of evidence that the deck works with our current card pool. 4 Rayquaza-GX is obvious, as Stormy Winds is a great way to power up Ray. Usually you’ll want to be using its Ability every time and may even choose to start something like Tapu Lele-GX rather than Rayquaza in order to be able to Stormy Winds. Ideally you’ll want to have energy in the discard pre-Stormy Winds to guarantee the energy acceleration, and with 3 Ultra Ball and 4 Mysterious Treasure, it should be easy to accomplish. Tapu Koko-GX is a great secondary attacker that doesn’t share a Weakness with Rayquaza-GX, and provides a great GX attack to deal extra damage in a game where you might need to catch up. Latias ♢ is great recovery in mid-late game when you need that extra oomph to close out a game, but if the cards align, it could actually be a great turn 1 attack to set your Rayquaza’s up for success the rest of the game. Finally, Sudowoodo and Oricorio are two tech cards in order to deal with Zoroark-GX and Night March decks respectively. Without Hex Maniac, Sudowoodo is actually a lot harder to get around for Zoroark, and thus it’s an easy inclusion. 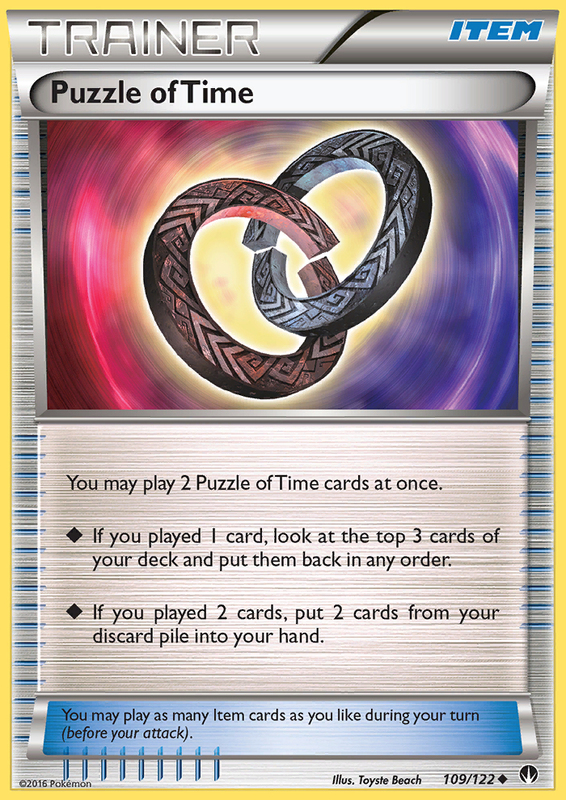 Oricorio is an iffy tech choice since the bans definitely took a toll on many of Night March’s options, especially the loss of Puzzle of Time. However, without it you will always lost to the 2 for 1 prize trade off that takes place in the matchup, hence the need for it or a Karen at least. We also have 1 Shaymin-EX and 2 Tapu Lele-GX to help support the deck and keep it going through any given game, letting you have the right Supporter or be able to draw those extra cards to find your outs towards the end. There’s a clear lack of a solid non-GX attacker, and there’s a case to be made for Drampa from Dragon Majesty, but it’s not solid enough to beat Hoopa SLG on its own. Hoopa is the big Pokémon that could deter the deck from doing well, along with Shrine decks if they decide to pop up. However, if the meta will be GXs, I think this is a great deck to go into an unknown metagame. In the Trainers part, the list is pretty standard except for the 4 Stadiums being played. These are there for 2 reasons. One is as a counter to Shrine of Punishment, so you can go head to head with them. And two, is that Silent Lab is the only way you can effectively KO a Hoopa SLG with your Rayquaza-GX. There’s a case for Rayquaza-GX/Garbodor as well just like last format, but this what I want to start exploring with first. Energy-wise, there’s not much to mention here. Even counts of Grass and Lightning Energy since Grass are important for a potential Tempest GX, Lightning are important for Tapu Koko GX’s attacks, and both are equally crucial for Dragon Break. Another concept I want to go back and explore is Garbodor with a spread focus, now that Tapu Lele Promo finally made it to us. Back in Daytona Regionals last year, we saw a Garbodor deck dominate the tournament that had Dimension Valley and a wide array of attacking options with Mew FCO, Mimikyu, Necrozma-GX and others. Now with Tapu Koko’s Flying Flip and Tapu Lele’s Damage Swap, I do think it has a lot of potential going forward. This is my initial iteration of the deck that I’d like to try this week, with the wide array of attackers and techs for how the meta has developed since then. As you can see the deck is quite varied in its options and has a bunch of 1-ofs. This is because every game and every situation will end up being very different from previous ones. Lock down strategy of energy with Drampa-GX’s Righteous Edge and Garbotoxin, such as Zoroark-GX, now that Puzzle of Time is banned. Abilitiy lockdown, plus Black Ray GX spread vs a Blastoise deck, followed by a rearrangement of damage counters to KO multiple threats. Trashalanche and Tool Drop usage against Shrine decks, to pull off a 1v1 prize trade off effectively. Full on spread mode with Flying Flip + Black Ray-GX against a Malamar deck with a Malamar trapped in the active spot. And I could go on. This deck is one that requires a lot of adaptability and is the opposite of straightforward. 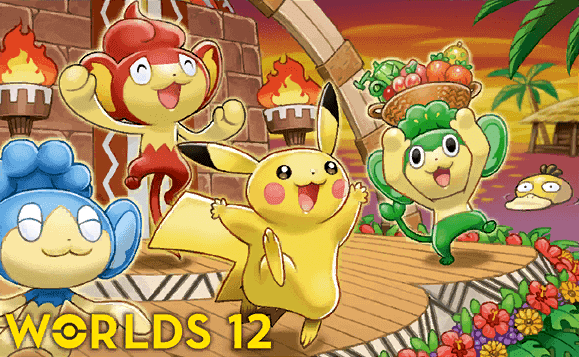 Most Pokémon will serve different purposes and improvising on the spot will be huge. The free retreat from Mew and Tapu Koko gives the deck a lot of room for maneuvering and making sure you have the right attacker for the right situation. The Garbodor combo acts as a soft Item lock + a hard Ability lock, and is crucial to the deck as it makes the other attackers stronger since it puts obstacles on the opponent’s side of the field to not be able to execute their strategy effectively. Finally, Oricorio has a double purpose in this deck. First, it is a soft Night March counter which, as mentioned before, might not be as relevant as we’d like it to be. However, it also becomes a cute ‘bench sniper’ that can catch someone off guard, since the bench damage is targeted rather than general like Tapu Koko’s or Necrozma’s. Sometimes those precise 3 or 4 damage counters can be the difference between winning or losing by sniping an unsuspecting target. In the Trainers department, we have some variety, but the most important cards in there are the Dimension Valley. The attacks are easy enough to achieve regardless of them being in there, but there are some key turns in which you need it, such as an out of nowhere Black Ray GX with a single DCE, or the end-game Damage Swap with a single Psychic. Finally, the energy spread allows you to cover the energy you might need, and sometimes you can even use attacks for free, such as using Mew to copy Righteous Edge with a Dimension Valley in play. Having an energy every single turn is not as crucial as with other decks, but 10 is a healthy amount to make sure whiffing is not an issue. There are a myriad of options in Expanded currently. 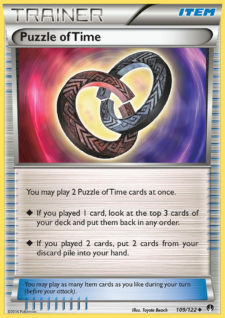 There always have been, but the ban of oppressing cards such as Ghetsis and Hex Maniac, along with crazy recovery from Puzzle of Time, allows other decks to shine which were being hindered by these. In my opinion, the top safe choices for many players will be Zoroark, Trevenant and Buzzwole decks, but the former 2 have been severely crippled by the bans, and Buzzwole decks will have to deal with the high amounts of psychic attackers present in the metagame with Trevenant, Garbodor, Mew-EX, Mewtwo-EX, Mew FCO, Oricorio, etc. Since there have been 3 sets released since the last major Expanded tournament took place, I don’t think anyone can accurately predict what is going to happen at Portland. However, when going into unknown metagames you can assume many players will play either ‘safe decks’ like the ones I mentioned before, or the new shiniest toy available, which in my opinion would probably be Rayquaza-GX. However, the bans might make things with natural energy acceleration such as Blastoise, Eelektrik, Bronzong and Malamar pretty interesting options to explore as well. No Hex Maniac means it will be impossible to deny their abilities for long, other than Garbotoxin, and Field Blower can solve it. These are also on my ‘to test’ list, especially Malamar given it has had so much success lately in Standard, and usually that does translate well to Expanded. There’s also a precedent of Malamar winning in Japan before they switched to SM-on, and since their tournaments rival NA’s in attendance, I think their results are very impactful. And so, with those thoughts I will leave the article right here. I think I would need 10 articles to cover every single potentially viable deck in Expanded, and I’ll definitely need more days after Memphis to get into the Expanded rhythm. However, I do firmly believe Rayquaza decks and Garbodor decks stand to be pretty powerful in Expanded and I’d be surprised if they didn’t show up to Portland. Thank you once again so much for reading and I will see you guys again after Portland and on our way to the first International of the season: Brazil! Until next time!